Choosing to undergo spine surgery is a major decision. A professional second opinion can help you make the choice armed with the best information. As an experienced and board-certified spine surgeon, Dr. Sameer Mathur can provide unbiased insight into your condition. If you need a second opinion on spine surgery, schedule an appointment with Dr. Mathur at Cary Orthopedics. You should get a second opinion for any major surgical procedure to ensure the best course of action is taken. Having another doctor consider your case can help you avoid an unnecessary procedure and the costs and health risks that would come with it. 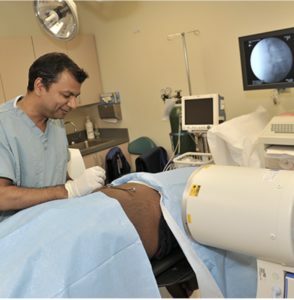 Dr. Mathur is a recognized expert in minimally invasive orthopedic spine surgery. This unique specialty makes him very experienced in searching for the least invasive possible solution to spinal issues. In many cases, Dr. Mathur is able to suggest a less involved procedure that decreases surgical risk and downtime. Are Spine Surgery Second Opinions Covered By Insurance Providers? In a majority of cases, a back surgery second opinion is covered by your insurance provider. In fact, many providers require a second opinion on all major surgical procedures and make the patient pay for a higher percentage of the treatment if one is not completed. If you need a second opinion, request an appointment at one of our offices. We have several locations in and near Raleigh, Durham, and Cary, North Carolina. You can upload your MRI results and other relevant records ahead of your appointment using the tool provided below. If you have any questions, feel free to contact us at (919) 297-0000.